At Songbird Prairie, you can actually sit back and listen to birds chirping away, thanks to the feeders located around the 6-acre property. 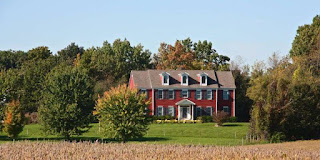 Located in the town of Valparaiso (less than an hour's drive from Chicago), the Federal-style inn has five rooms, each named after a songbird. Formerly called the Rufous Sided Towhee this 8 1/2 inch long sparrow is boldly patterned and spends nearly all it’s time on the ground scratching among the leaf litter, looking for food. 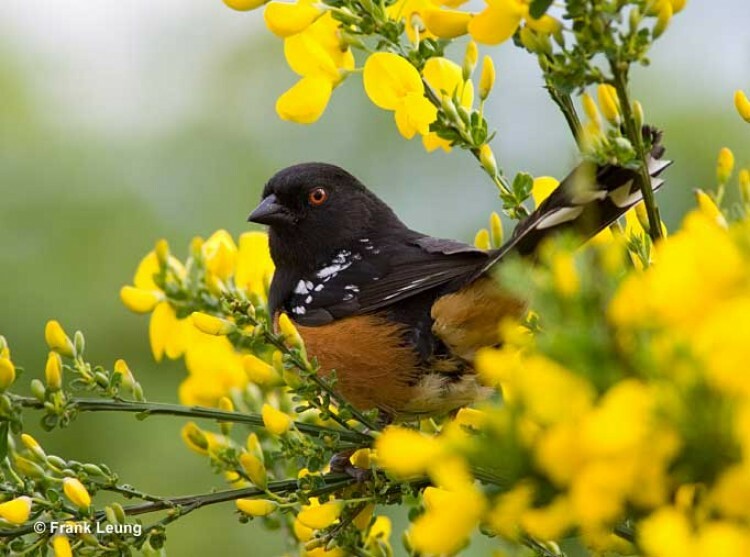 The name Towhee comes from the bird’s call, which has also been translated as chewink. Many people know this bird as the chewink instead of the Towhee. This is one of the favorites here at Songbird Prairie. Clean, flashy colors have given the towhee the nickname “Hollywood robin” In flight, the bird’s white wing and tail spots are just beautiful. Female eastern Towhees replace the male’s black plumage areas with chocolate brown. Towhees preference for thick cover and brushy habitat make them harder to see than other common species. But not here at Songbird Prairie, you will see them come right up to the feeders, a rare occurrence indeed!